It's a dream for many to resolve their debt, live a life of adventure, stay true to their values, and reach true financial freedom. Two years ago, Kim Kasl and her husband were financially stressed parents of two, living in a large house with two children, struggling to reach their goals for their family. They turned to their faith which brought them to tiny house living, which has made many of their dreams come true. 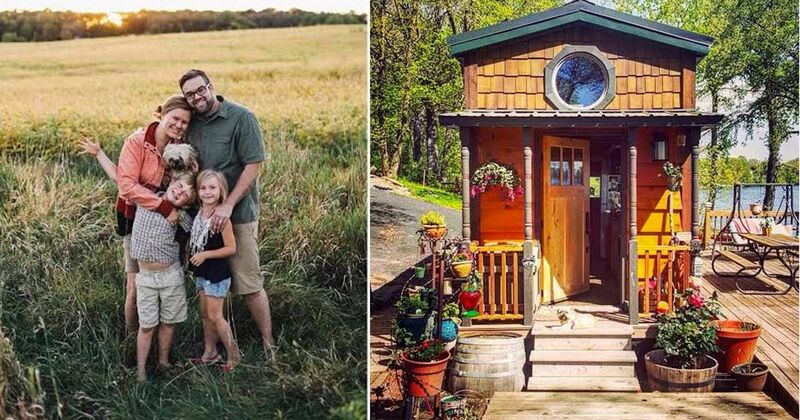 Read on about this family of four living a life of adventure with a cozy tiny home. 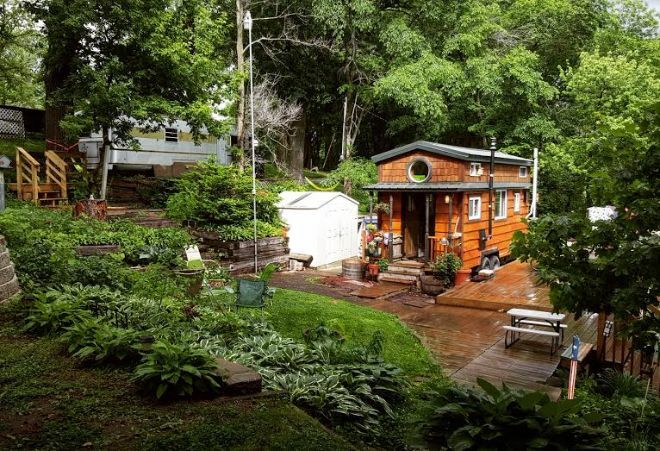 Can you describe yourself and how you've come to live in a tiny home? Why did you decide to downsize? My name is Kim Kasl. My husband, Ryan, and I will be celebrating our 10 year wedding anniversary on July 15th, 2016! We are a mix of traditional and super unconventional. We went to college together, got married, rented apartments, basements, townhomes, started our family, and bought our first house feeling relieved to finally put an end to the packing and unpacking of boxes. Our “big house” was 2000 square feet and filled with stuff and stress. When the kids were 4 and 2 we began discussing the values we wanted our kids to grow up on and the type of education we hoped for them. We realized that our values didn’t match our lifestyle. We knew what our goals were but the bills were in the way of achieving them. We began to pray for a solution. We wanted to go from being a financially struggling two-income family to being a financially free one-income homeschooling family. The solution had to be miraculous! God started changing our hearts toward minimalism. We trusted God’s plan by saying Yes! to every opportunity He put in our path. We’ve now been living Tiny for almost two years. Sully (age 8) and Story (age 6) are learning values in a financially stable, goal-achieving, adventure-seeking, clutter-free, nature-surrounded, love-filled home. We like to say that we live outside. That’s our favorite part about tiny living. Campfires, walks, lake life, gardening, bird watching, reading in hammocks, everything outside. The door is open all day long. We don’t have a tv. We enjoy visiting with neighbors and jumping off the dock. In the winter we play outside some but inside we cook, read, play games, and write. We really love our home …when we’re home! We stay really busy with family and homeschool friends, too! We were really mindful abut celebrating each step. None of it felt like a sacrifice because we were on a real path toward meeting our goals and we felt so blessed! 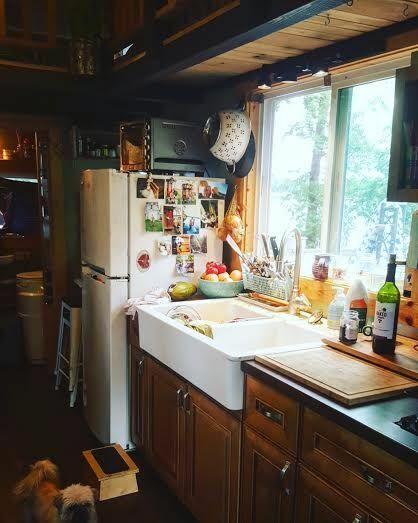 We had learning experiences such as learning to tow, skirt, level, compost, use the wood stove, and everything else that goes with Tiny Life. But we met each challenge with optimism and really enjoyed the journey. The whole thing is adventurous and we love it. At first, family reacted with questions and doubt (three years ago people still didn’t know what Tiny Houses were!) but they quickly became incredibly supportive! We receive only support and excitement from our nearest and dearest! We call our new lifestyle Family-Style Minimalism! Our life is absolutely the upside-down-inside-out-backwards-opposite of what our life was like before the Tiny House! In the big house, we had a lot of stuff, stress, deadlines, and to-do lists with never enough time to achieve them. There were so many obstacles. Through Family-Style Minimalism, we’ve found that when you trim away all of the excess, all of the obstacles, everything that remains is fruitful! Our family is thriving and we feel abundantly blessed! There is an abundance of everything good. YES! We can now be a one-income family. We are not ruled by our budget. We are now in charge of our finances. We love that we have the time and resources to be involved in new opportunities, be involved in our community in new ways, road trip, help/give/volunteer, adventure, and more. Debt freedom is our goal. But even with huge student loans, we can be financially stable. We can homeschool our kids! The time that we have been afforded is really the most valuable outcome. Is there anything that you’d have done differently in terms of design, etc? Is there anything that you would include now or something you'd like to get rid of? Even though it’s small, we rearrange according to our needs – or whims of inspiration! – quite often. We are content and happy with the design of our home. We love the catwalk, the farmhouse sink, the porch, sliding bathroom door, large lofts, and the windows placement (windows are all placed in pairs across from each other creating a strong cross-breeze throughout the house). 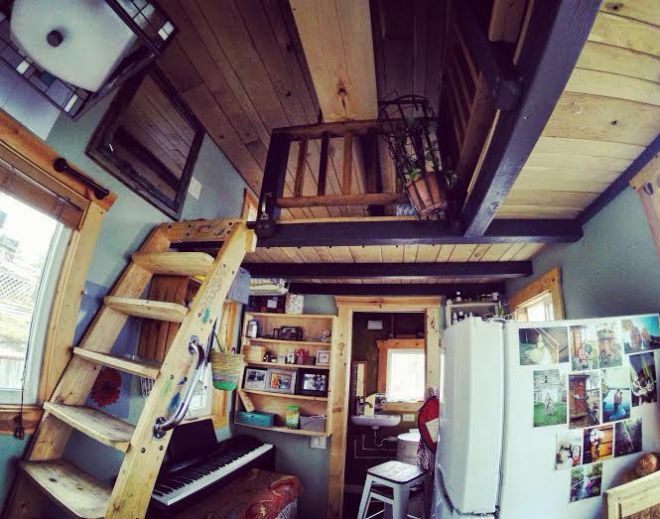 Do you have a room layout of your tiny home that we can share with our audience? Downstairs holds entry area for shoe storage and coat hooks, a small closet for Ryan’s work clothes, multi-functional furniture for storage of all the rest of our laundry, kitchen with fridge, large sink, and cupboards and counters (convection toaster oven and two-burner stove are all we need for cooking – and I cook all of our meals from scratch), full-size keyboard, bathroom with composting toilet, wine-barrel bathtub, and small sink. Upstairs we have two lofts connected by a catwalk. In the lofts, we have all of our comfort items: bedding, books (so many books!!! ), kids toys, and lots of pillows. 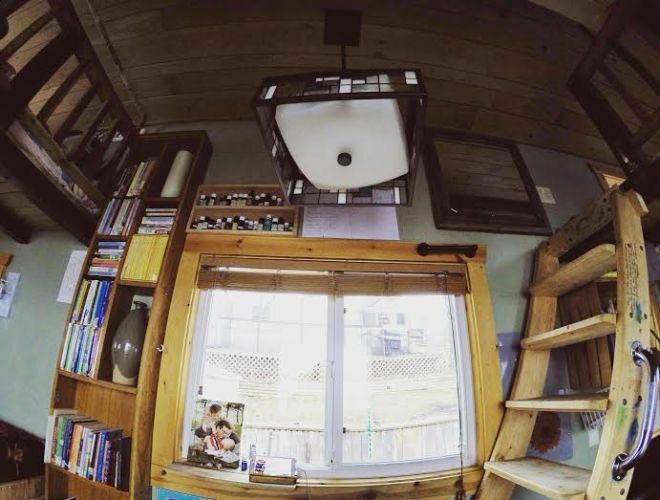 Our Tiny House is a Tumbleweed Elm 24 customized to meet our needs. Our Tiny House journey has been very faith-filled. 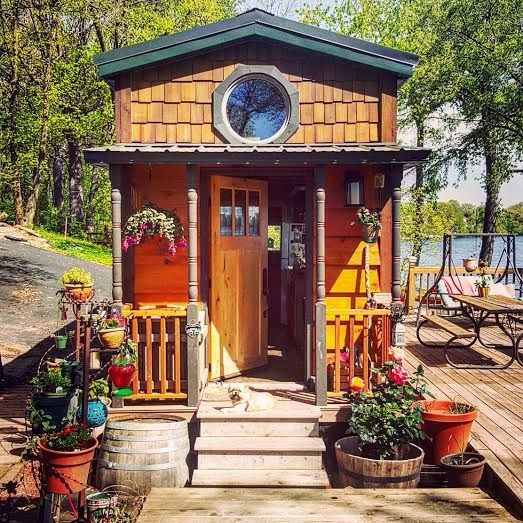 There are so many unanswered and unanswerable questions when it comes to Tiny Houses! Making the transition involves so much research, planning, learning, decision making and praying. Don’t let fear derail you! Arm yourself in prayer and celebrate each milestone! Seriously, during your build people will continue to ask you, “Where are you going to put it?” “How are you going to fit your stuff?” “What about the kids?” “What if you go crazy?” “How do you even work a composting toilet?” and you can just smile and say, “I Don’t Know! But I’m going to live with more freedom, achieve my goals, have all my needs met, have the ability to move my house when an opportunity arises and it’s going to be AMAZING!” Because it’s true! Having everything you need and being content with enough brings you joy! Get rid of everything that you don’t absolutely love. In our home, we are surrounded by only our favorite things. If something doesn’t fall into the category of being your favorite it shouldn’t be allowed space in your space! Throw it out the door with a “free” sign taped to it! It can be someone else’s favorite. You will find yourself more at peace when you set boundaries on what you allow in your home. Initially, our plan was to build it ourselves. My Uncle Pat Mattson was our contractor and our home was built on FYI’s Tiny House Nation. I’m glad to have had our home professionally built as I have peace about safety and the quality of the structure. We do, however, feel that we missed out on a great learning opportunity. We hope to experience building a Tiny House in the future when our kids are older and can also benefit from such a cool and valuable life experience. 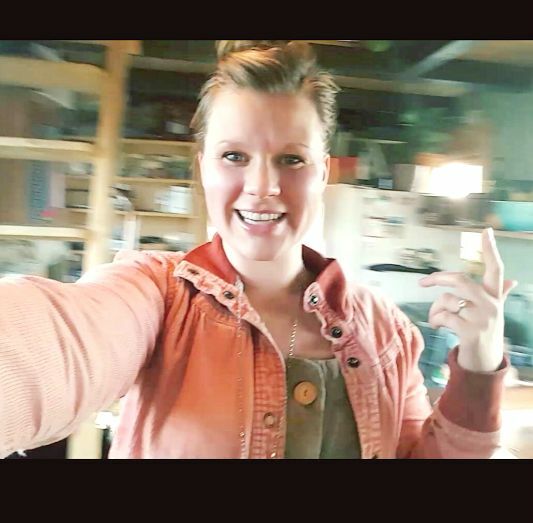 Kim is a featured speaker at this year's National Tiny House Jamboree in August. She has also contributed two chapters to the book Turning Tiny, which will be available at the Jamboree. 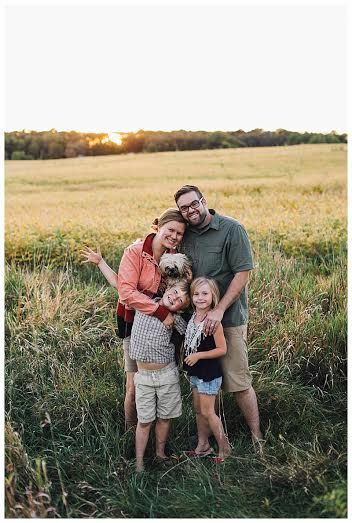 Keep up with the Kasl family and learn more about their "Family-Style Minimalism" at BlessThisTinyHouse.com.